﻿ Match the term with its definition. Match the term with its definition. 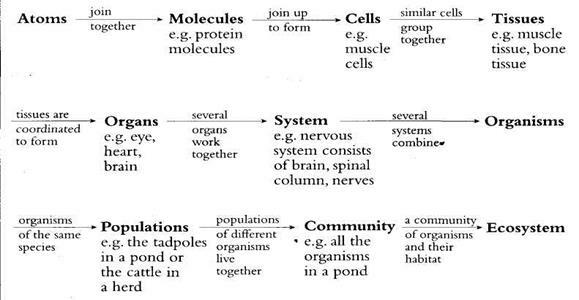 Analyze the scheme given below and explain how living things are built up and how organisms themselves group to form a whole ecosystem. Illustrate your answer with examples. 11. Complete the text below. Use one word or phrase in each gap. Revise all the information you’ve learnt about living things and test yourself. Task 1. Complete the following table for goldfish. Task 2. From the characteristics below, choosea) those, which are unusual for mammals; b) those which are possessed onlyby mammals. ADolphins and whales are mammals that live in the sea. В They have hairless skin. С They have a constant body temperature. DThey give birth to their young. EThey have fins and a tail, but no legs. F They feed their young on milk from mammary glands. Task 3. Which of the organisms belowa) has an exoskeleton (external skeleton)? b) is cold blooded with a dry scaly skin? c) has no skeleton? Task 4. Living things have seven important characteristics. Which characteristic is the most important toa) someone looking through a microscope? b) an athlete running a 100 m race? c) a sick person taking glucose tablets? a) the yeast cells are dying at the same rate as they are being produced? 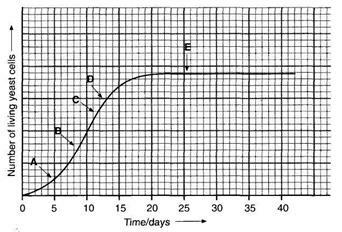 b) the yeast cells are multiplying at the fastest rate? c) there are half as many cells as there are after 13 days? Match each of the phrases on the left with an appropriate explanation on the right. Fill in the grid below. Match the phrases on the left with an appropriate explanation on the right. Fill in the grid below. Match the words in A with the definitions in B.